They were the new icons of rock and roll, fated to burn bright and not fade away. But on 12 July 1979, it all came crashing down. There was Daisy, rock and roll force of nature, brilliant songwriter and unapologetic drug addict, the half-feral child who rose to superstardom. 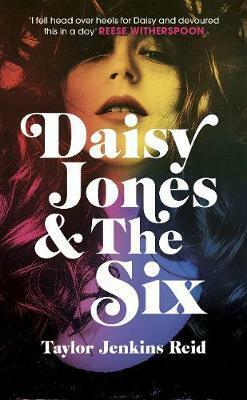 There was Camila, the frontman's wife, too strong-willed to let the band implode - and all too aware of the electric connection between her husband and Daisy. There was Karen, ice-cool keyboardist, a ferociously independent woman in a world that wasn't ready for her. And there were the men surrounding them: the feuding, egotistical Dunne brothers, the angry guitarist chafing on the sidelines, the drummer binge-drinking on his boat, the bassist trying to start a family amid a hedonistic world tour. They were creative minds striking sparks from each other, ready to go up in flames. "With Daisy Jones, Taylor Jenkins Reid has conjured up a legend both on the page and off. A zeitgeist book for 2019, read it before the series becomes the next must-see."